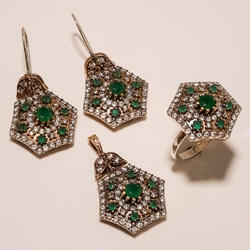 Leading Manufacturer of rhodium pendant ring set, designer turkish colored ring pendant set, green copper turkish ring pendants set, high quality turkish ring pendant set, pink stone turkish ring pendant set and turkish trendy ring pendants set from Jaipur. 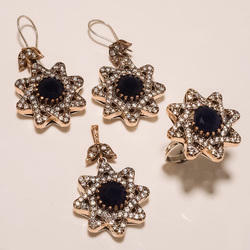 Quality being the prime concern, we manufacture the are attractive collection of Rhodium Pendant Ring Set this designed and developed as per the latest fashion trends prevailing in the industry. 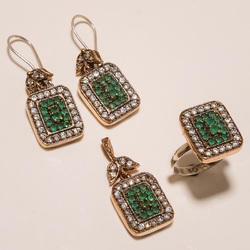 They have fine cuts and impeccable sheen. We offer them in traditional and contemporary forms and are skin-friendly in nature. 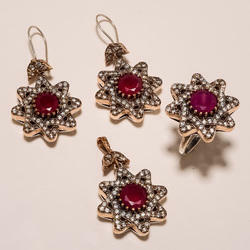 Moreover, we offer them with customization facility on the basis of designs and sizes. 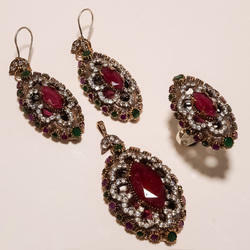 we are a leading manufacturer and exporter of Designer Turkish Colored Ring Pendant Set. 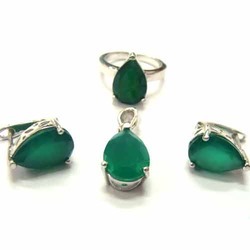 We have carved a distinct niche for ourselves in the industry by manufacturing, supplying and exporting an extensive range of Green Copper Turkish Ring Pendants Set that is available in beautiful combinations of colors. 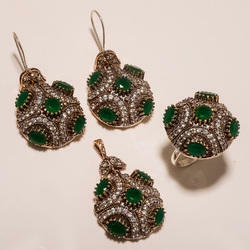 We hold expertise in manufacturing, supplying and exporting aesthetically designed range of High-Quality Turkish Ring Pendant Set that can acclaimed for optimum quality and exceptional finishing. 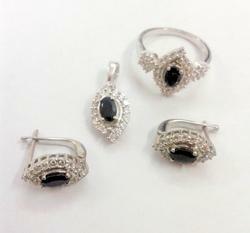 Designed with utmost accuracy, our entire product range is acclaimed for traditional looks and exceptional finishing. We offer them in different sizes and are skin-friendly in nature. Moreover, we offer them at most reasonable rates. 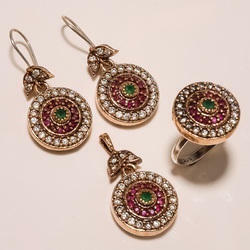 we are a leading manufacturer and exporter of Pink Stone Turkish Ring Pendant Set. 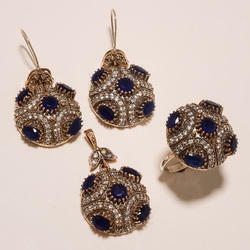 We are a leading manufacturer and exporter of Turkish Trendy Ring Pendants Set. 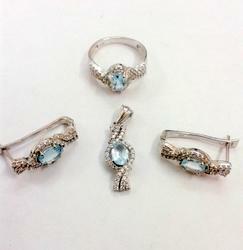 we are a leading manufacturer and exporter of Attractive Turkish Ring Pendant Set. 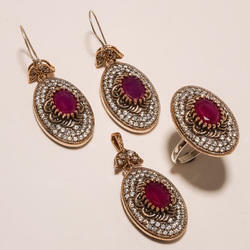 we are a leading manufacturer and exporter of Fancy Pink Stone Turkish Ring Pendant Set. Our entire product range is quality tested on varied parameters thereby rendering utmost client satisfaction. 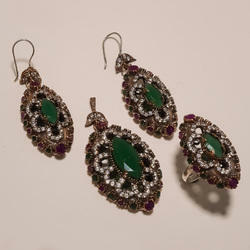 They design them as per the latest fashion trends and are highly appealing and attractive in nature. Furthermore, we offer them at most reasonable rates. 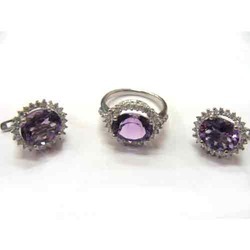 We are a reliable manufacturer, supplier and exporter of Stone Pendant Ring Set that are available in various shapes and sizes in order to meet the diverse demands of customers. 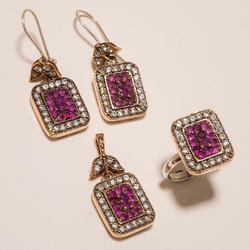 These Authentic Pendants are offered in the plethora of dazzling colors. 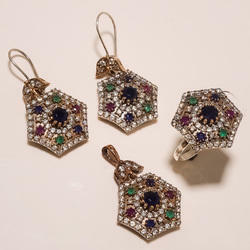 Moreover, Authentic Pendants are designed as per prevailing market trends. 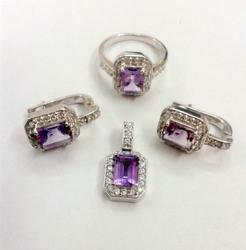 We offer an exclusive consortium of Authentic Pendants at very affordable prices through easy modes of payment. 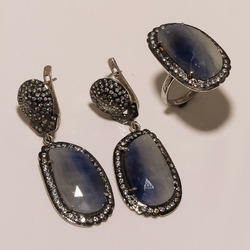 we are a leading manufacturer and exporter of Trendy Blue Stone Ring Pendant Set. 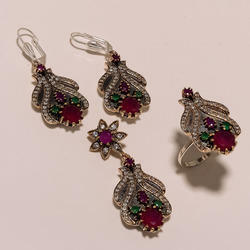 we are a leading manufacturer and exporter of Turkish Colored Ring Pendant Set. 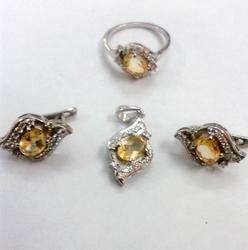 We are a leading manufacturer and suppliers of Turkish Designer Ring Pendant Set. 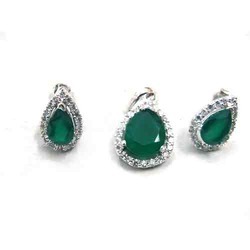 Keeping in mind the diverse requirements of the clients, we offer our clients an extensive range of Turkish Green Ring Pendant Set that are designed with utmost accuracy. 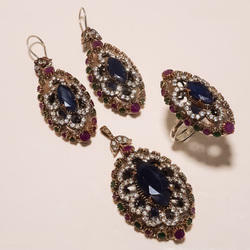 We offer them in varied colorful designs and patterns and have fine cuts. 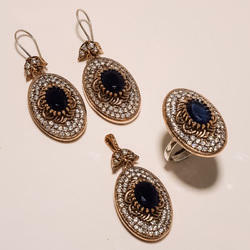 These products can be easily carried in formal and informal occasions and are designed as per the latest fashion trends prevailing in the industry. Moreover, we offer them at most reasonable rates. 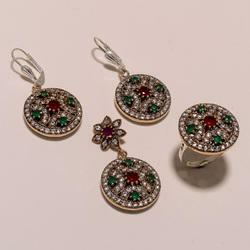 we are a leading manufacturer and exporter of Turkish Round Ring Pendant Set. 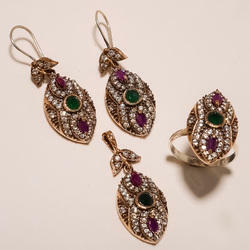 We are a leading manufacturer and exporter of Turkish Stylish Ring Pendant Set. 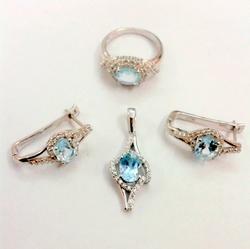 we are a leading manufacturer and exporter of Unique Turkish Ring Pendant Set.